For over 35 years, CSA Software has been offering full-service software solutions for freight forwarders around the globe. We have been able to continuously improve our product, thanks to your loyal customers. Contact our friendly sales staff today for your Free Demo! Comprehensive Shipment Management Web Portal. Manage shipments from the Cloud! Let’s schedule your demo today. Cloud-based Software System. 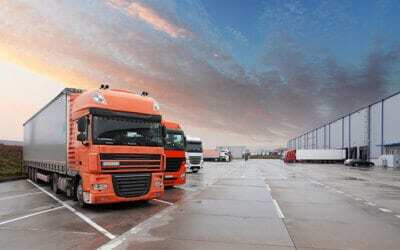 Best in class fully integrated Freight Forwarding Software. Contact us to get started. Feature-rich software solution that enables you to manage warehouse inventory, and shipment of customer products. Easily compare the rates of the carriers you do business with and place carrier selection in your customer’s hands! CSA Software Inc. is a developer of state of the art, world-class Cloud-based software solutions for freight forwarding, transportation management, air freight, ocean freight, and logistics organizations. For over 35 years, CSA Software has provided complete freight management software solutions that run every aspect of a freight business utilizing the latest in Microsoft technologies and are easy enough to use for the smallest of transportation companies – yet comprehensive enough for the most advanced multi-office, global organizations. Get on the Right Trak! Domestic, International, Warehousing, and Accounting. All this in one simple Cloud-based solution, for freight forwarders, air cargo, and air freight operations. Completely automating time consuming manual data entry to bring costs down, minimize errors, drive efficiencies, and provide greater control over the decision-making process. You can work from home or on the road. When you use CSA’s Cloud-based software your office is everywhere. You data is accessible anywhere with Internet access. When you use CSA’s cloud-based software you don’t have to worry about anything technical — you can just do your work. We handle all the security and up-time, backups, and upgrades. We host your way; SAAS, private cloud or on-premise implementation available. The CSA Software products are all high function, however MUCH easier to learn and use. Training costs are reduced significantly, as the system is very intuitive for an Operations professional. CSA’s World Trak has been instrumental in helping Saturn’s tremendous growth over the years. We strongly feel that World Traks state of the art technology is a game changer with our customers and competitors. CSA Software has allowed Saturn Freight Systems to accomplish our all of our goals over the past several years. What sets us apart from other companies? 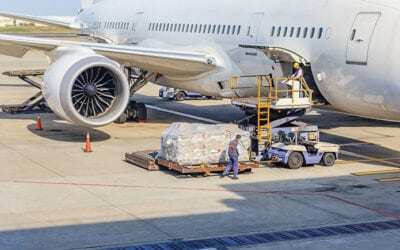 The truth is most freight forwarding and air cargo software is a product of the customer base it serves. We have a tremendously deep customer base that have helped us mature our product so that it scales beautifully for the larger organizations and also works flawlessly and simply for smaller organizations. CSA Software works with hundreds of freight forwarders across the country and internationally. We are looking forward to adding you to our team! Please contact us today for your FREE DEMO!